Looks good, and feels well constructed. Pink, but not too "in-your-face" Quite small - not ideal for larger households. 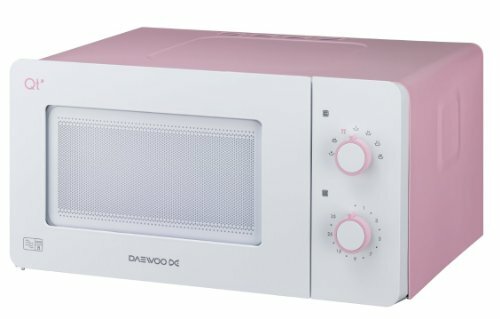 Looking to buy a small pink microwave? The Daewoo QT3 may just tick that box. Finished in a predominantly white exterior, with light pink side panels, it looks smart without appearing garish. At only 14 litres capacity, it certainly isn't suitable for those who wish to be able to cook large dishes, and at 42.4cm by 22.9cm by 31.6cm it doesn't take up too much room. The QT3 has 7 different power levels, with the maximum output being 600w. Being a solo microwave, it doesn't feature either a grill or convection oven mode. In terms of interior size, it features a 10 inch turntable (25.4cm), with a 35 minute dual speed timing system. This pink microwave is ideally suited to those with small kitchens, or those who require a small cheap microwave for carrying out simple tasks. It looks pretty cute, and the overall build quality appears good, as you'd expect from Daewoo. If you're after a small, simple to use and reliable pink microwave, then the QT3 certainly ticks all of those boxes. This Daewoo microwave may be a touch too small for some, but it does perform well. Also available in the QT range are the Daewoo QT1 and Daewoo QT2. What is the weight of the QT3 microwave? 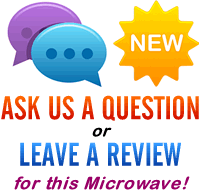 which is the best combination microwave oven Panasonic or daewoo?